Key West tradition with the latest in culinary innovation. Savor the elegant atmosphere and spectacular views of the Key West Bight, while enjoying our exceptional menu and large selection of boutique wines. Enjoy the finest steaks, locally caught seafood and lobsters from Maine and Florida, prepared with a delicate fusion of classic and contemporary styles by our renowned chefs. Maine Lobster Escargot Medallions of lobster sauteed with helix escargot & wild mushrooms in an herbed lemon garlic butter and served in a puff pastry. Berlin's Jumbo Lump Crab Cake Pan seared and served with a mango goat cheese salad and a key lime aioli. Oysters Rockefeller Fresh plump oysters baked with spinach, bacon & Pernod topped with hollandaise sauce. Roasted Mussels Provencal Fresh farm raised Mediterranean mussels pan roasted with garlic, tomato, white wine & parsley & served with toasted crostinis. Escargot SautÃ© Served in puff pastry, with garlic, wild mushrooms, and a creamy cognac demi glace. Baked Crab & Artichoke Gratin Jumbo lump crabmeat baked in artichoke hearts with hollandaise sauce & a chipotle vinaigrette. Shrimp Cocktail Martini Jumbo Key West Pink shrimp, served chilled with horseradish cocktail sauce & lemon. Farm Raised â€œIsland Princessâ€ Baby Conch Sauteed and served in a rum butter sauce, with candied leeks and a Caribbean fruit compote. Pan Seared Jumbo Scallops Served on a bed of roasted pineapple carpaccio with Bahamian peanut sauce. Berlinâ€™s Daily Caviar Service Served iced with traditional garnish. Let a visit to Berlin's Martini & Cigar Bar be the perfect ending to your evening. After an unforgettable dining experience at A&B Lobster House, relax with one of Berlin's unique signature martinis or a select dessert wine. The picturesque harbor views and comfortable yet classic furnishings create the perfect atmosphere for winding down an exceptional night. Nowhere else on the island will you find a better place to sample a rare cigar, sip a fine cognac, and swap the day's fish tales. 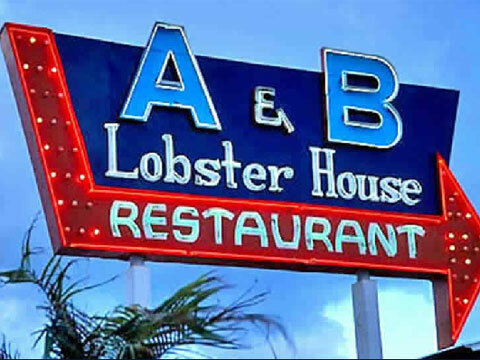 Welcome from the entire team at A&B Lobster House. We are looking forward to hosting you and your guests. I believe you will find in your research of top Key West restaurants that ours will stand far ahead of the rest. The combination of professional attentive service and award-winning cuisine, in addition to our stunning view of the Key West historic seaport and the Gulf of Mexico, make A&B the ideal destination.